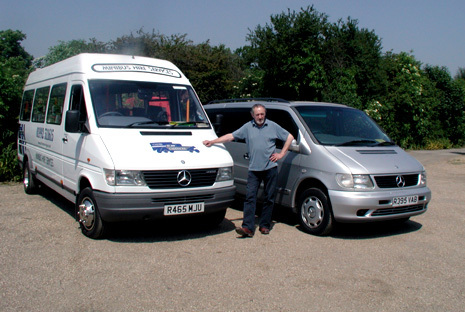 Our minibuses can carry up to 8 or 16 passengers all with wheelchair accessibility. Company outings, such as transport to conferences and events. Company ‘fun days’ such as summer or Christmas activities. Transport to and from airports and other major destination points. Employee pick-up from mainline train stations to their places of work. Collection of physically disabled staff from their homes to and from their places of work. General transportation, such as delivery and collection from shopping trips and days out. Evening and day time social events, such as, theatre trips or a day at the races. Phone Now for availability and quotation on 01992 511615 or fax on 01992 511595.